Seven Seas Water Park & Resort is opening very soon and they need to fill up some vacant positions in the resort. 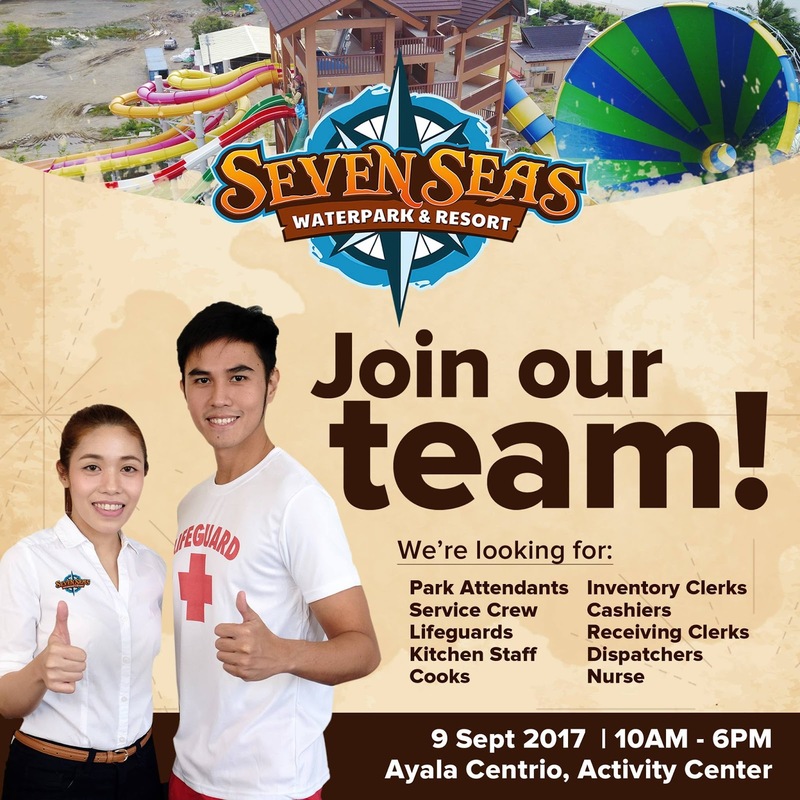 If you want to be part of the Mindanao’s first world-class waterpark, Bring your resume with photo at Ayala Centrio Activity Center on September 9, 2017 10AM to 6PM, they will be having a job hiring activity there this Saturday. If you think you have what it takes to help Seven Seas Waterpark and Resort create the best experience, then join the team! pwede ba walang experience as inventory clerk, but i am willing to be trained..
Napay vacant position as of now ? hiring pabah mo as service crew ? May vacant paba? Pwede pang mag apply? I'm willing to trained. Malapit lang bahay namin sa resort niyo.